Didn’t have much luck using Linkedin? When people think of online networking sites, many instantly think of Linkedin, not even knowing there are Linkedin alternatives. While Linkedin is a great networking platform, sometimes limiting yourself only to this popular website just doesn’t cut it. It is always better not to put all your eggs in one basket and use a few Linkedin alternatives as well - you may be surprised by how some of them are. While Linkedin does have a huge following over the world - 380 million members from over 200 countries to be exact, lately some issues with it have been reported: spamming, breaking into members emails, the costly 50 dollar fee when using advanced settings that are sometimes necessary. This, when combined with the growing privacy concerns regarding Linkedin is increasingly making people want to move to a different platform. Another great bonus for Linkedin alternatives is that there are networks devoted exclusively to specific industries or even age groups, as you will see below, making them a better solution to certain groups than Linkedin is. Weather you want to find a 9-5 or work for startup, find employees for your company - AngelList is the most popular Linkedin alternative. In this fast-growing, increasingly popular platform, recruiters and employers are connected with job-seekers. AngelList is also the place if you’re looking to invest in a startup or raise funds for your own startup, as well as hire professionals for your startup. Are you interested in arranging meetings in person, rather than just online? If so, Meetup is the best platform for you. On this free-to-use, cool platform you get meet like-minded people. Meetup will keep you informed about any events that may be of interest to you and we strongly advise using Meetup when trying to get hired by a startup, or if trying people to hear about your startup event. It has 16 million users spread out through 196 countries over the world. Data Connect is different than other networking platforms in that they offer the email and phone number of any company listed in their directory. Here you can get contact access to many professionals through which you could hire or get hired quickly, or just enjoy your time networking. The sign up is free, but the contacts are not entirely - you can give out one of your contacts and receive a contact in return, you can buy them in bulk… The first two contacts are free, though. Sumry is unique in that instead of just offering employers your resume, this network will highlight your skills, testimonials from people you’ve worked with, certifications and anything that will really set you apart from others in the job market. Using this network may really help if you want to accent your specific qualities, but on the other hand, some people find write tedious enough - they might not won’t to go into their specific qualities. Others will find it easy and super fun to use, especially since you can add multimedia to showcase your digital work. 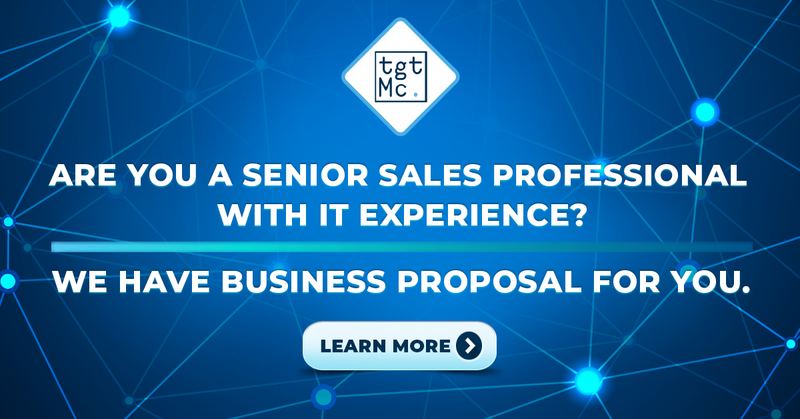 TGTMC is a fast growing network that connects senior sales professionals with small and medium sized companies, as well as startups struggling to grow international sales across the EMEA market. It is a perfect deal for both sides, since it offers a more entrepreneurial to older Sales Professionals that earn based on their results but also the striving to prosper, but struggling with investing in sales talent with an uncertain return. The Go To Market also offers expert CV reviews and business plan help. Join our network to enjoy our services and grow with us! Jobcase goes a little deeper than Linkedin in showcasing your true profile. Other than the traditional showcase of skill and education, this platform will display your prefered salary or if maybe you’d be willing to relocate. Definitely a time saver! Jobcase has been powering over 100 job-hunt websites since 2009, it only entered the networking game in 2015. This wait allowed them the advantage of having information from those websites (Indeed, CareerBuilder), so that job searchers have more access to connections than they would if they used LinkedIn. Do you need local professionals quickly? If so, this is a great platform for you. You just type in your zip code and what you’re looking for, and Bark will find you a professional. The downside? It’s UK based, so if you’re not an islander, maybe this website really isn’t the Linkedin alternative you’re looking for. If you’re looking for a job in finance, consulting, tech, media or entertainment, this network is a must have Linkedin alternative. One of the services they offer is having your resume reviewed by an expert and they help members find job opportunities and they do so through a social network of personal and college alumni connections. Doostang was founded by Stanford University in 2005. We all know how important networking is, but really, with all the responsibilities in our personal and professional lives, we don’t always have time to network. Let’s Lunch is a network that devotes itself to connecting interesting professionals that can decide to meet over drinks or lunch - whatever fits their super busy schedules. With a cool and casual approach to networking, Let’s Lunch can really get you the connection you need to get ahead. The network claims to be kind of a personal assistant that lines up your coffee and lunch appointment with people you should know and helps you access the hidden job market. The sign up is free. Another great Linkedin alternative is Opportunity. This platform claims to connect professionals using a matchmaking algorithm and help people create relationships that can lead to employment or just some fun networking. Opportunity also offers a dating algorithm, so that you can combine business and pleasure as of 2018. Xing is kind of like a European Linkedin, with members in more than 200 countries and a multi-language interface to help networking in a culturally diverse world. They offer pretty much the same thing as Linkedin - job hunt, forums and professional profiles but in 16 different languages! Another cool element is the possibility of attending events created by Xing’s “ambassadors”, where professionals can meet, exchange ideas and business advice. What is truly great about Linkedin alternatives is that sometimes these websites are more niche-oriented, and this is true for Zerply. It’s like Linkedin for artsy kids - it claims to connect creatives in film, TV, gaming and VR with entertainment production companies that are hiring. Professionals can make an online portfolio and are directed to jobs that match their skills. To join, one must be invited by a Zerply member or apply by showing your work to the team. Do you fancy yourself as a Twitter fan? Twylah will be perfect for you! It is a professional tool that can help you create Twitter brand pages and improve your brand awareness. You can enjoy many cool tools such as free brand assessment and a trial of brand builder. It also helps interested parties summarize your tweets, giving them a clearer picture of you or your company through your tweets. Young, cool professionals who work hard but also play hard? Find them at NetParty. This platform sponsors events for young talent looking to network and party at the most stylish clubs across the US, Canada, Europe - but also Buenos Aires. Not very different than Linkedin, but definitely worth checking out. Gadball also offers hosting a public profile and engaging in forums, career opportunities for talented professionals. They have been featured in the Fortune Magazine and The Wall Street Journal. This professional networking platform has over 40 million members world-wide. Viadeo offers personal profile hosting, maintaining your online address book, helping you stay connected to your contacts and many other services. It is the most popular Linkedin alternative in France, but isn’t exclusive to France. YouJoin is a great tool to help you stand out from the crowd. It uses something they call a “semi-public” profile - it can only be accessed through a PIN and a custom profile. Only contacts who have the link can see your YouJoin profile. Another alternative to Linkedin that is worth checking out is Ryze. They connect entrepreneurs to professionals and have a following of over 1 million in 200 countries. It’s been in business since 2001. The Muse offers business matchmaking as well, but what sets it apart from competition is how fun and easy to use the website is, featuring many fun articles. You can search jobs, but also get career advice, browse companies and watch fun videos. If you’re looking for a job, you must check out Hired. They are a two-sided marketplace, matching cool companies with technology talent and offer free profile hosting for professionals. It is used by companies such as Conde Nast and Uber. We hope you found the right Linkedin alternative for you!